As the old saying goes, “Desperate times call for desperate measures,” and there are few times more desperate for a majority of laborers living hand-to-mouth, than being put out of work en masse. 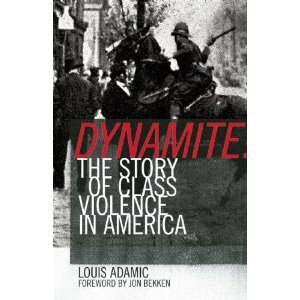 Adamic’s well-researched, but surprisingly easy-to-read Dynamite: The Story of Class Violence In America demonstrates the desperate side of the labor struggle which is rarely, if ever, taught in classrooms. As strikes and “riots” are often portrayed in the media as unprovoked violence against the employers or scab workers, and haphazard destruction of the employers’ properties, Adamic will not let the reader ignore that in many (most?) 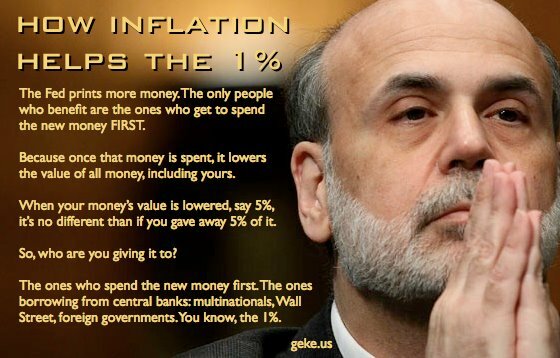 cases, it is the the monopolists and the concentrated Big Business who are directly responsible for the opening salvo (i.e., hired thugs to bust the strikes, agents provocateurs, corrupt politicians, etc.). He also notes that while many attempts at labor organizing were demonized and even prosecuted as illegal interference with commerce, etc., the duplicitous nature of the American legal system often ignored equally heinous interference with commerce when done on behalf of organized Big Business. 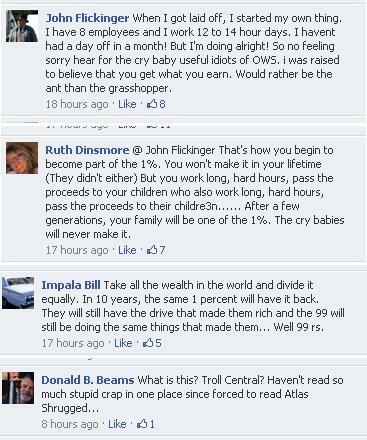 Dynamite also presents a fairly compelling argument as to why organized laborers believe in a “right” to their jobs, which if you accept it, means that scab laborers would be guilty of violating that right and to some degree deserving of reactions as would any common criminal who violated you otherwise. This was an argument I had not previously encountered, but and it was definitely an “Aha!” kind of moment when I picked up on it. Adamic is unabashedly anti-capitalist, so his character descriptions tend to favor the champions of labor, and make the enemies of labor seem characteristically repugnant. That said, he keeps a fairly even keel and is not afraid to highlight labors shortcomings, infightings, especially weak leadership, a “We’ll get ours and damn the rest” mentality (which he condemns as a byproduct of capitalism) , failures of the AFL as well as the politicking and racketeering scandals which plagued early labor organizations and it would seem, doomed them for the future. Although Adamic does not explicitly endorse “dynamite” as a means to achieving labor’s goals, I think he is without a doubt sympathetic to its use; at least under certain desperate circumstances the majority of which cannot be blamed on the working classes. If you’re a left-leaning libertarian or a big-L libertarian of the American persuasion, or even fancy yourself an “anarcho-capitalist” then this book will definitely give you pause to reconsider some of your positions. Otherwise I’d recommend it for anyone interested in the history of the American labor struggles, or anyone looking for an alternate account of this history. Dynamite: The Story of Class Violence In America is available via Amazon.com.